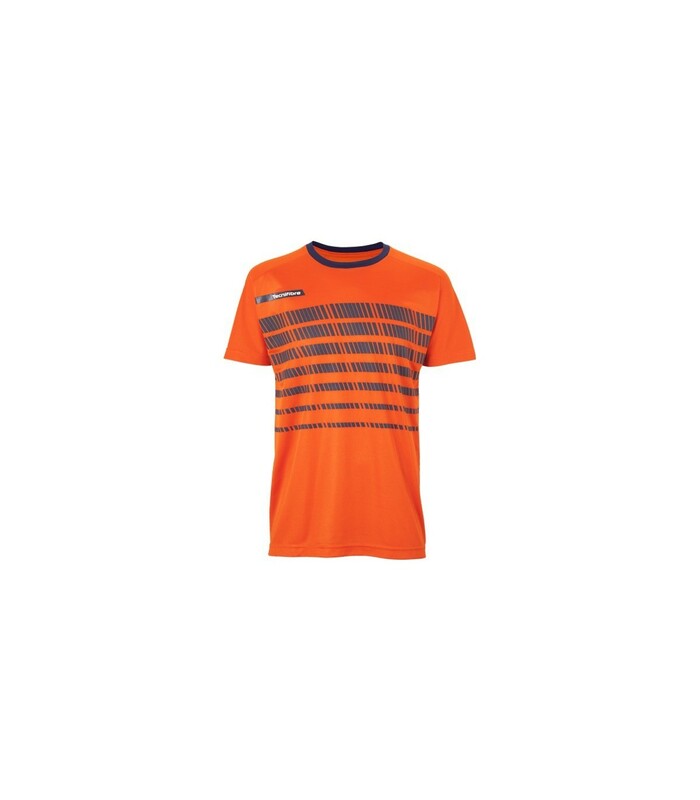 Combine style with performance with this orange squash t-shirt featuring an innovative technology. With the Tecnifibre F2 Airmesh 360 men's squash t-shirt, you will not go unnoticed on the squash court. This premium squash t-shirt highlights both your look and your performance. Its orange color gives you a dynamic look while its x-cool technology boosts your performance. By playing under exceptional conditions, your performance is much better with this great brand squash t-shirt. The Tecnifibre F2 Airmesh 360 men's squash t-shirt offers you a unique comfort with its innovative technology and its mesh inserts on the back, a strategic area particularly sensitive to sweat. With this great brand t-shirt, your sweat is evacuated faster and your body is much better ventilated. The Tecnifibre F2 Airmesh 360 men's squash t-shirt is an excellent ally to stay focused on the game and improve your performance.